I left my local produce market the other day with no less than ten pounds of apples. 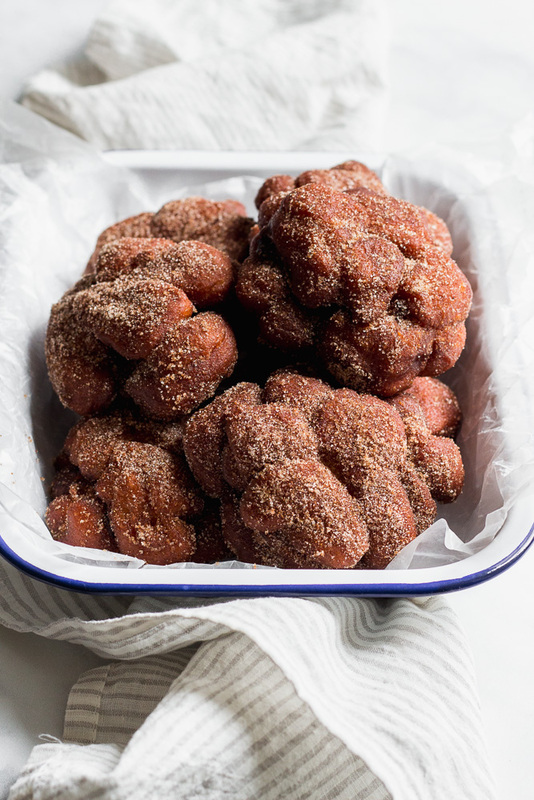 Apples for eating, loads of home-made applesauce, maybe a galette or two, and yes, apple fritters…. Bread has been my favorite food for as long as I can remember. My favorite after-school snack was sourdough bread dipped in olive oil. I thought (and still think) that pizza crust is the best part of a pizza. When I visited Paris I all but lost my mind over perfect baguettes. 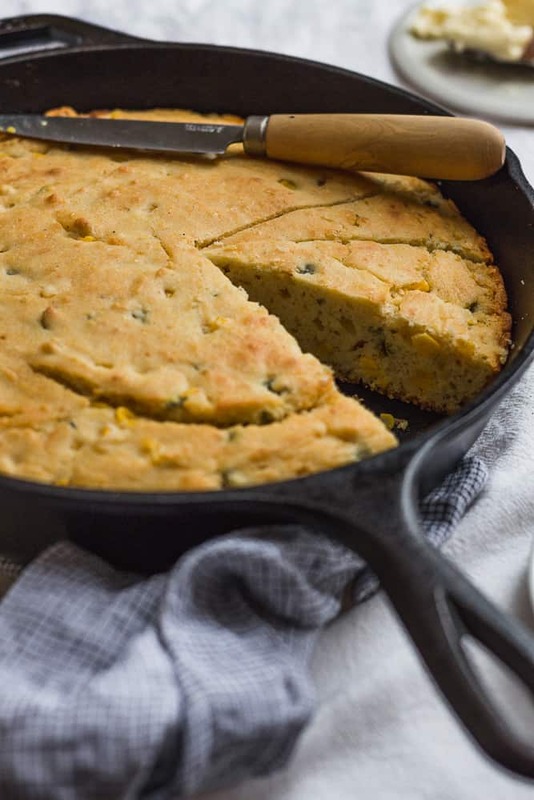 If given the choice, I’d rather eat an entire pan of biscuits than any other breakfast food. Bread is a last meal kind of love for me. Give me all the bread. Last week I shared my recipe for home-made spiced pumpkin butter. 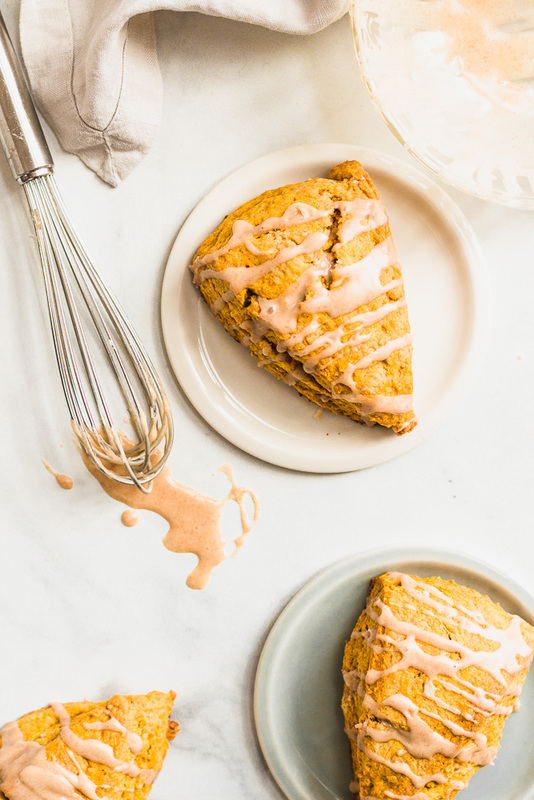 This week I’m using that same pumpkin butter to fill puffy cinnamon rolls topped with a brown butter cream cheese glaze. It is a very good use of pumpkin butter. I’m continuing my British baking kick. 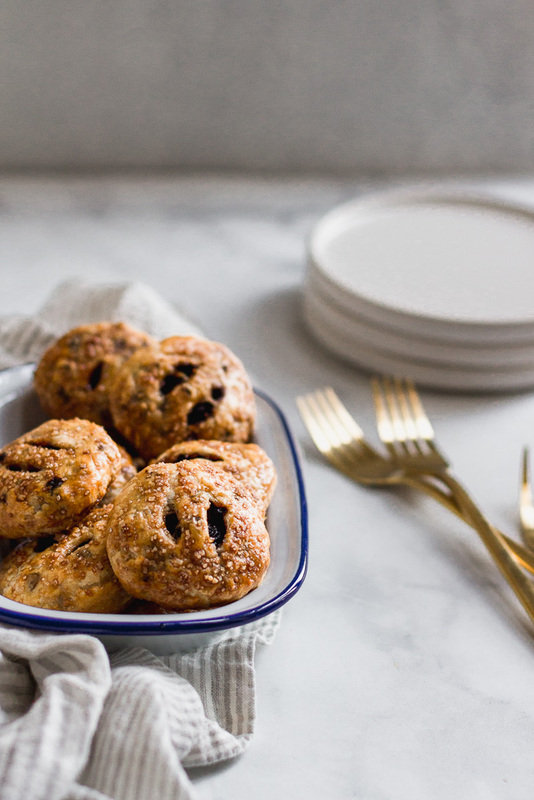 I’m in full-on fall baking mode, and the warm spices and flaky, buttery pastry of these Eccles Cakes fit the bill perfectly. 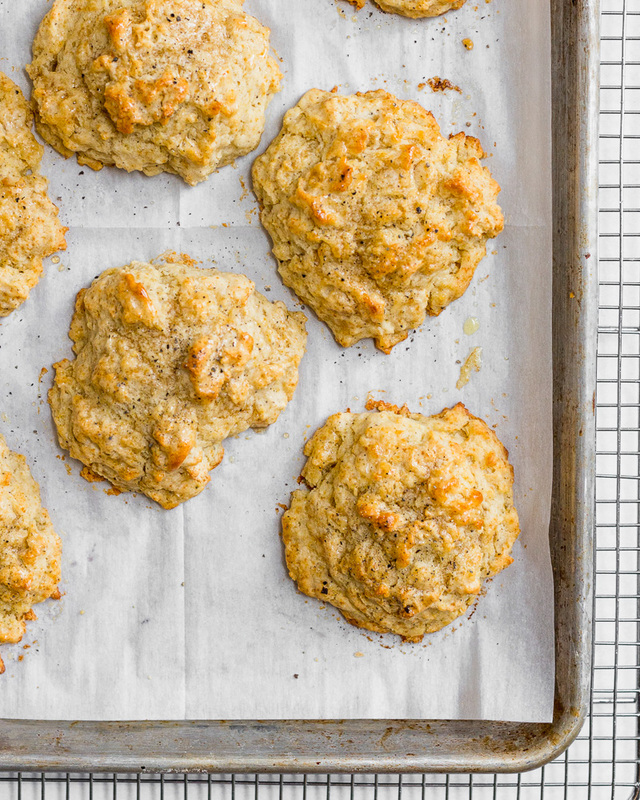 Last week, I began to ease into Autumn with my maple pepper drop biscuits. But this week, it officially feels like Fall. There’s no endless summer here in England and today is proof. It’s dark and chilly, the wind storm Ali is raging outside. I’ve lit my candle, I’m drinking spiced tea, and I’ve put pumpkin scones in the oven. I grew up in the deep south. I haven’t lived there for years, but there are some things that time doesn’t change. I still love the smell of sweet magnolias. I still bristle a little when I hear about hurricanes in the gulf. I still love a good biscuit. This lemon drizzle cake might be my favorite British bake. I love bright flavors & zingy icings, and this cake delivers. 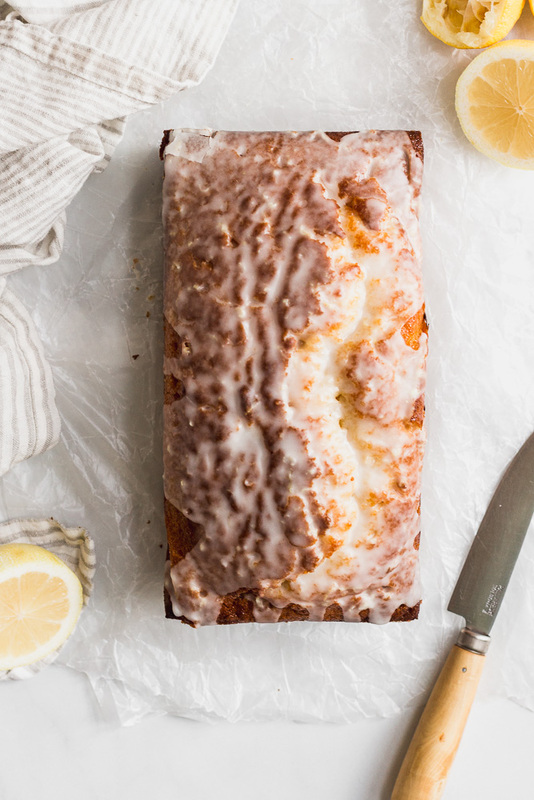 If you’re not a fan of lemon, look away now, because this cake has loads of pure lemon flavor…. “Is there anything you miss?” I’ve been asked this question countless times since moving to the U.K. Friends, family, strangers all ask it. Sometimes I reply with a shrug and a quick, “Oh, just people really,” not wanting complain about having the opportunity to live in this beautiful country. But truthfully, there are as many things to miss as there are things to love. Both are true. The more I embrace both aspects of life away from my home country, the more content I find myself. 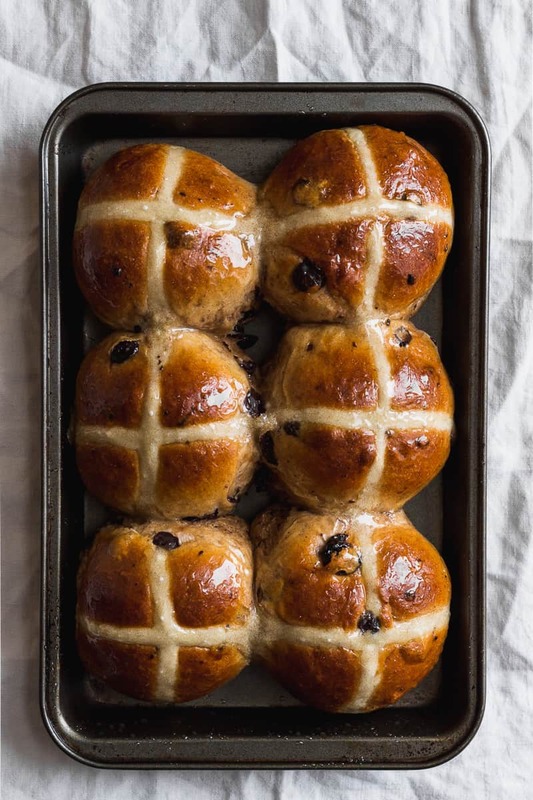 Easter is almost here and that means it’s time for Hot Cross Buns! Do you have a favorite kind of nut? By leaps and bounds, my favorite is the pecan. It’s not even close for me. It’s probably not super surprising, since I use them in baking whenever I can: a pecan cookie here, a pecan bun there. Every Thanksgiving of my childhood was spent at my grandparents’ house. We would drive up to their place on Wednesday and my Mom and Mamaw would spend the day preparing. I didn’t spend much time in the kitchen when I was young, but I could always be called upon to help Mamaw with the preparation for Thanksgiving morning sticky buns. The buns we made were a tradition. 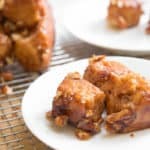 Mamaw had clipped the recipe from a newspaper when I was around eight years old and every year from then on out I eagerly helped her assemble the sticky buns. The night before Thanksgiving I would dig out the pretty bundt pan that was used solely for this occasion; grab a packet of instant butterscotch pudding mix & dig through the freezer for two bags of frozen dinner rolls. 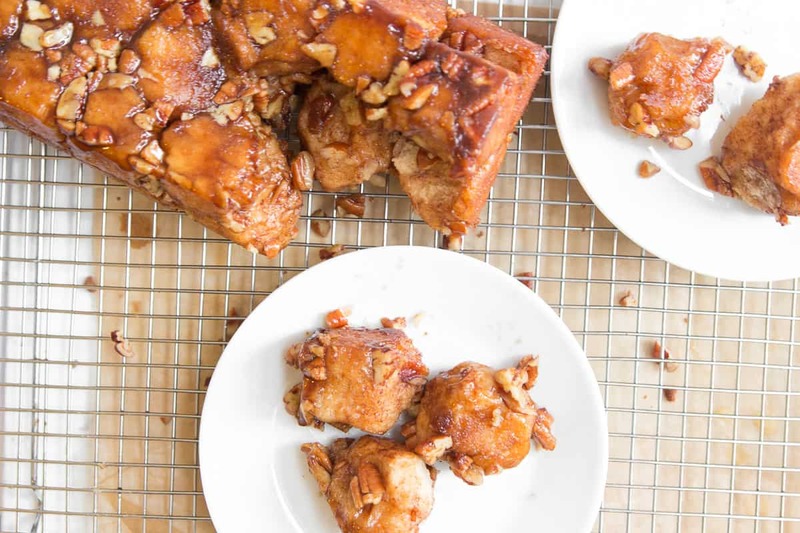 Yep, these were cheater sticky buns–assembly only. Mamaw loved a quick & easy recipe from the newspaper. 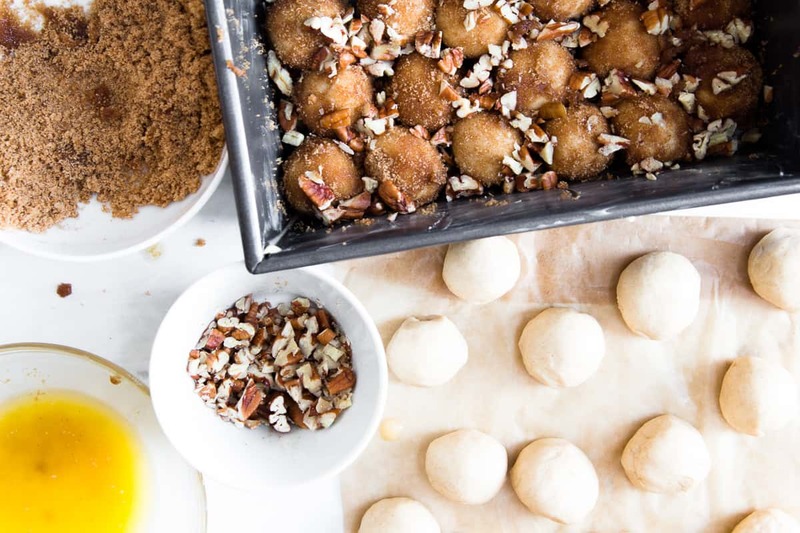 We’d read the recipe together and I’d go about layering the buttery spiced pudding mix, rolls and chopped pecans while Mamaw supervised and cheered me on as she sipped her glass of wine. The buns would sit on the kitchen counter overnight to rise. When I woke up the next morning, it was like magic seeing how those frozen rolls had risen overnight. 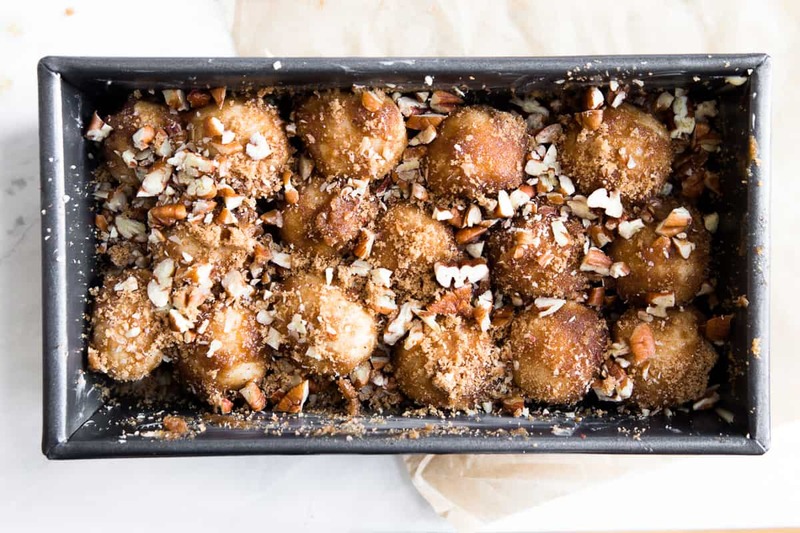 They looked like light fluffy little clouds dotted with the caramel-y pecan goodness. 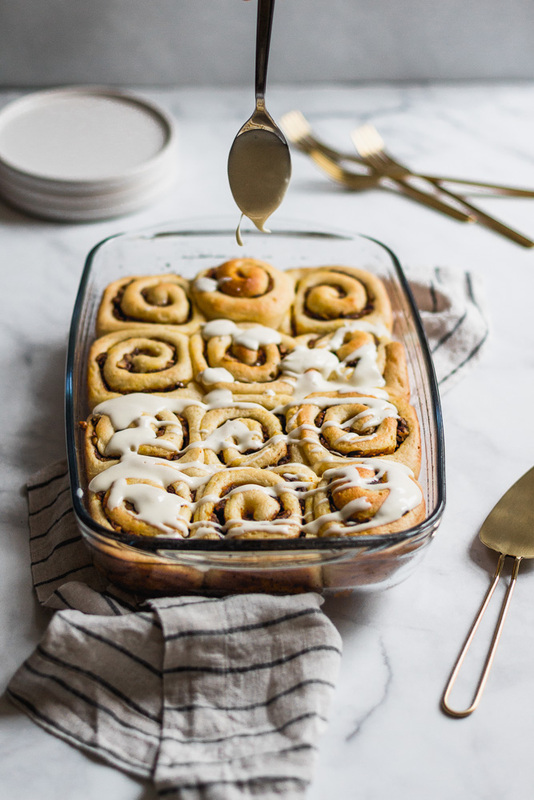 After baking and being turned out onto a plate, the mountain of sticky buns would sit on the kitchen counter where they would be picked apart and snacked on throughout the day while all the other preparations were made for our late afternoon meal. I learned much later that these buns were what most people call ‘Monkey Bread’, but I continue to label them sticky buns for the sake of nostalgia. I do not, however, continue to used pudding mix and frozen rolls. While it might be the easier way, I enjoy making yeasted baked goods and I think Mamaw would concur that the flavor and texture of these buns would be a far superior beginning to your Thanksgiving Day or really any special day for that matter. Over the past 7 years Sam and I have crafted our own Thanksgiving celebrations with different friends, around different tables, in different states & even countries. Some years it’s been just the two of us, others we’ve hosted or we’ve spent the holiday at a friend’s place. As a result we’ve not really settled on any of our own traditions but embraced other’s tables and a mixed collaboration which brings me a lot of joy. I’ve loved every year and all of the traditions we’ve been able to take part in. This year our Thanksgiving looked different yet again. Sam had a conference stateside in the days leading up to the holiday, so we took the opportunity to visit his side of the family. The day consisted of friends and family, catching up with everyone, and every conceivable kind of Thanksgiving food. The day was special in many ways, not least of all that it was the first Thanksgiving in years that either of us have spent with family. It was the first time since I started helping with the sticky buns at the age of eight that I’ve not had something to contribute–a pie, a galette, green bean casserole, something! It felt strange and foreign coming to the Thanksgiving table empty handed but I was welcome nonetheless by gracious hosts with warm hearts. We returned to our home in Manchester a few days after all the celebration. It had been a long time since I’d made sticky buns. The tradition fell away as Mamaw aged. 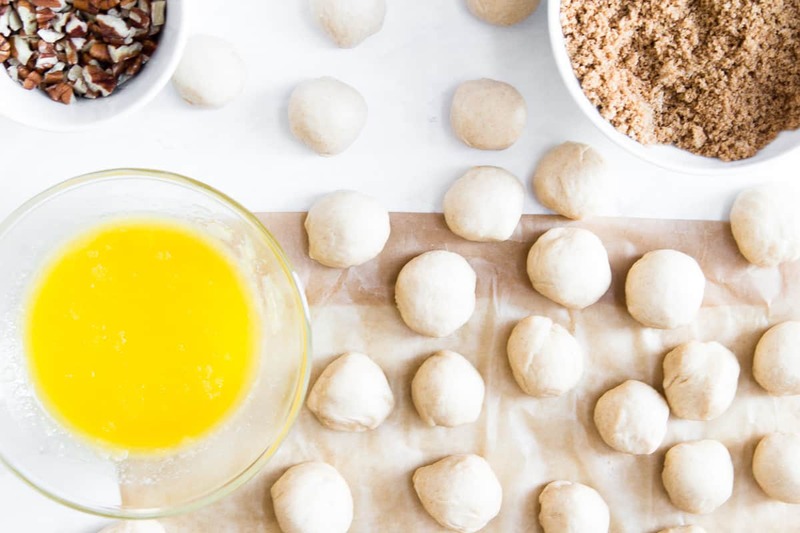 The holiday spirit lingered with me this year and I felt like I needed this recipe. I needed the reminder of little traditions and memories from the past to come alongside all of the new ones I’ve picked up. 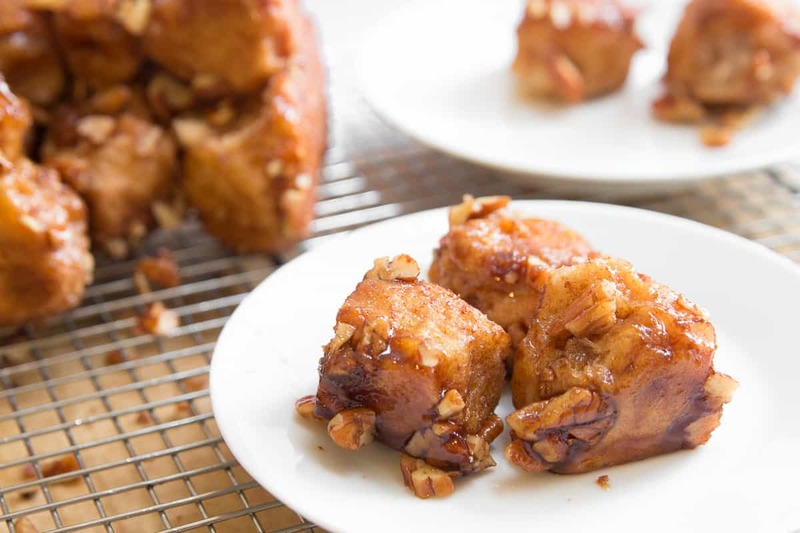 I didn’t make them for Thanksgiving morning, but the smell of the sticky buns baking in my kitchen days after the holiday transported me back to the Thanksgivings of my childhood in the kitchen with Mamaw. I think that this recipe will be something I go back to, not only on Thanksgiving, but for other special occasions. They may even make a debut at Christmas. 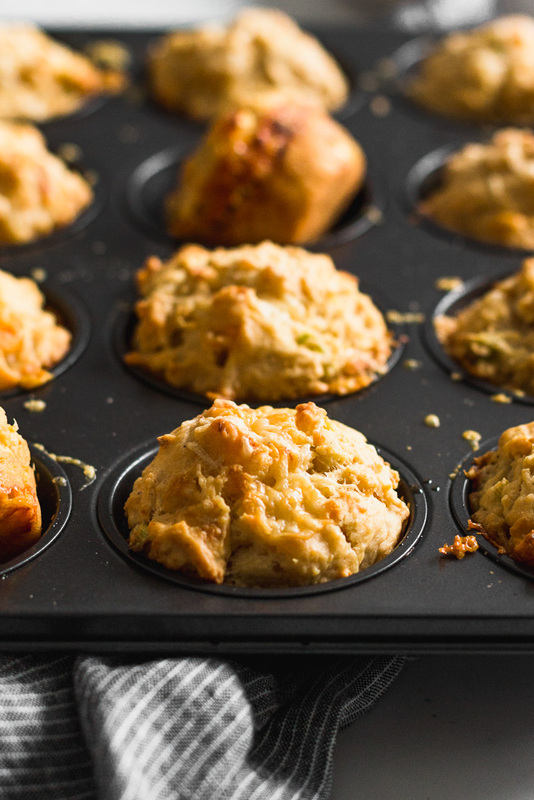 They’d be perfect for a brunch-y celebration situation! Towards the end of the hour that your dough is rising, mix together 1/2 cup + 2 tablespoons of light brown sugar and the cinnamon in a medium bowl. Then, melt the 4 tablespoons of butter and pour into another bowl. 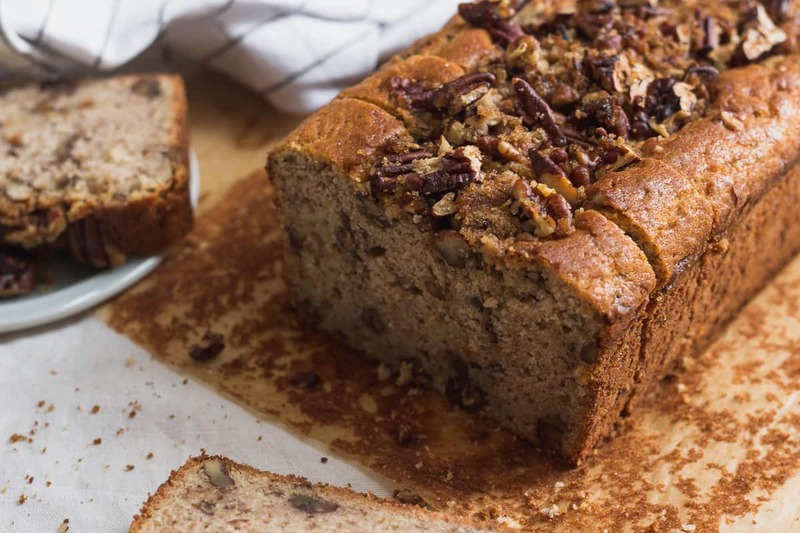 Grease a 9x5 loaf pan with butter and sprinkle with about 1 tablespoon cinnamon sugar mix and 1/3 of the chopped pecans. Once your dough has risen, remove it from the bowl and pat it into a rectangle that's roughly 4in x 8in. 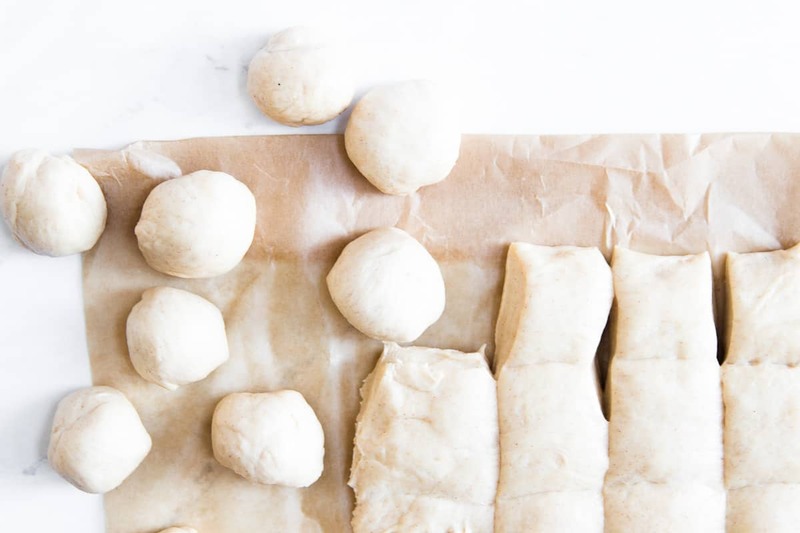 With a pizza wheel or bench scrapper, cut the dough rectangle into 32 pieces. Roll each piece into a little ball. 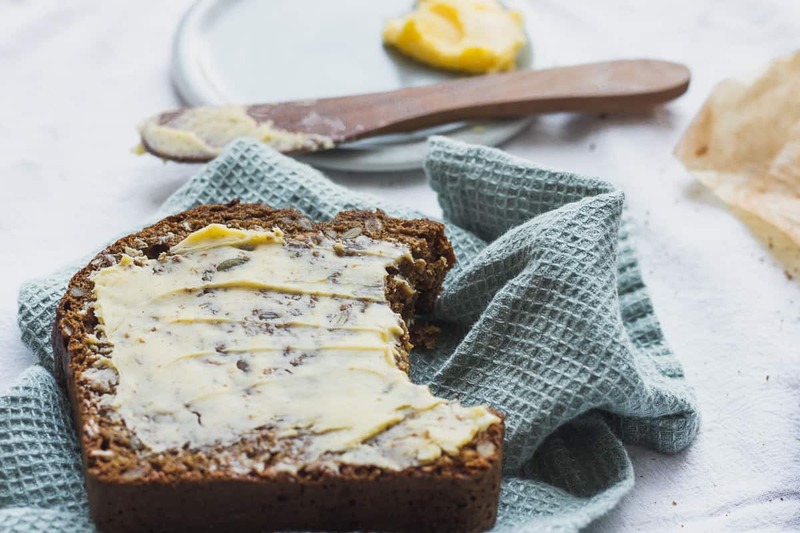 One dough ball at a time, dip in the butter and shake a little over the bowl to get the excess butter off, then roll in the brown sugar mixture and then place in the loaf pan. Do this with half of the dough balls, filling up the bottom of the tin. 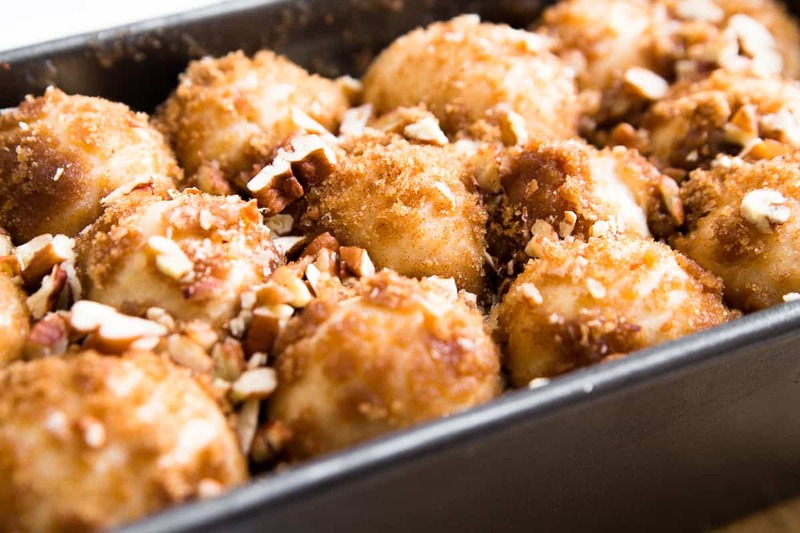 Once you've got your first layer of dough balls down, sprinkle with half of your remaining chopped pecans, then repeat your butter and sugar dipping with the rest of the dough balls placing them atop of the bottom layer in the tin. Sprinkle with the remaining pecans. Cover the loaf tin with plastic wrap and place in a warm, draft free area to rise for an hour. Once the buns have risen (they should look puffy and be near the top edge of the pan), remove the plastic wrap and place the pan in the preheated oven. Bake for 25-30 minutes, rotating the pan at about 13 minutes to ensure even baking. When they're done baking the buns will be dark and carmelized and you should be able to see little bits of sugar bubbling. Remove from oven and cool in pan for 5 minutes. Turn out onto a plate and let cool about 10 more minutes. Pull apart and enjoy! *This will be a very wet and sticky dough, but it is absolutely possible to bring it together by hand. If you keep going, it will come together. Mine took about 20 mins, yours might take less or more, just look for the dough to become shiny and smooth and not break when you stretch it. 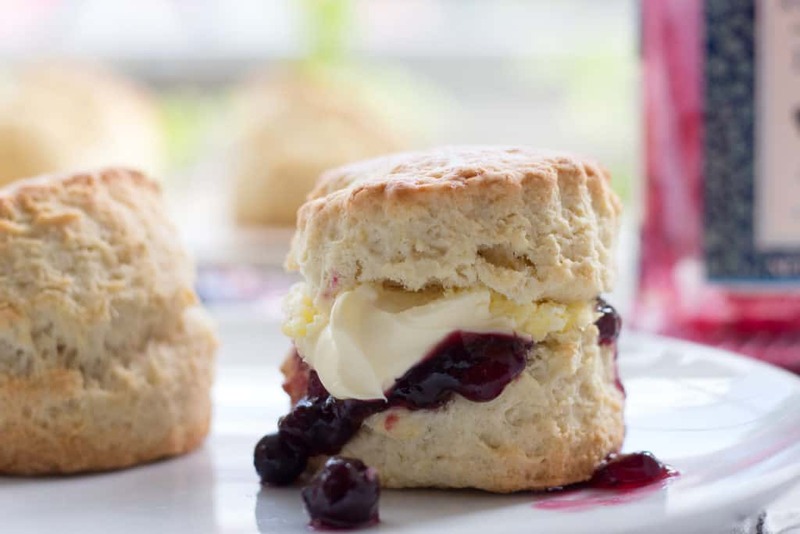 If kneading by hand isn't your thing, you can absolutely make this in a stand mixer. Just put the flour mix in the stand mixer with a dough hook attachment. Turn it on low speed. slowly pour in the milk mixture. Once all the milk mixture is in, turn the speed up to medium. Let the dough mix for about 5-7 minutes, or until the dough is shiny and smooth, then return to step 2. **At this point, you can put the dough in the fridge and finish everything else in the morning. If you do choose to make the dough ahead, just make sure you take it out of the fridge and let it sit in a warm, draft free place about an hour and a half before you want to move on to step 3. Ten years ago, I went to Ireland for the first time & I fell in love. The country was green and foggy; the coast harsh and beautiful; the people chipper and kind. In an strange way, the people felt like my people, and the land held a beauty I’d not witnessed elsewhere. It felt like an easy place to just be. The kind of place that wraps you up in a woolly sweater and invites you to sit by the fire with a pint and warm bowl of soup and buttered bread. The kind of place where you can kick off the slippers of your anxieties and drink in a cool pint of comfort, of conversation, and of cheer. There’s always a little fear that a memory of a place might hold more beauty and joy than the reality. Was it just the experience of being somewhere new? Am I remembering through a rose-tinted memory? I’ve gone back to Ireland several times since we moved to the UK, and I’m happy to say that the magic hasn’t worn off or grown dull with time. In fact, we were just in Ireland. Last month, we took the less-than-40-minute-flight from Manchester to Ireland for a conference Sam attended. We went in a day early and wandered around Dublin, stopping here and there to have a pint of the dark stuff or a cheeky whisky. For dinner, we ate at a gastro-pub that’s been on our list for a few years now, and it did not disappoint. Everything was delicious, but we especially remember the bread. Oh man, the bread. The bread. We talked about it for days. It was dense with seeds, malty and ever so slightly sweet. They served it with salty Irish butter and the combination was stellar. 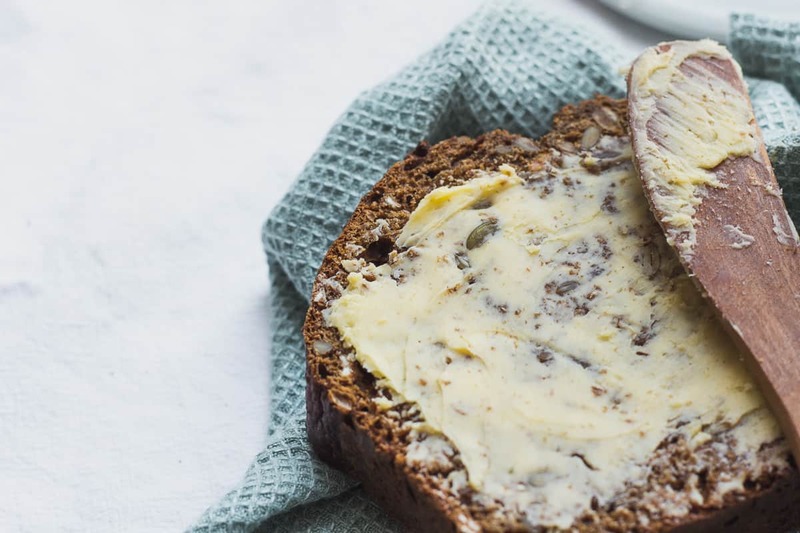 But really, everything is good with Irish butter. 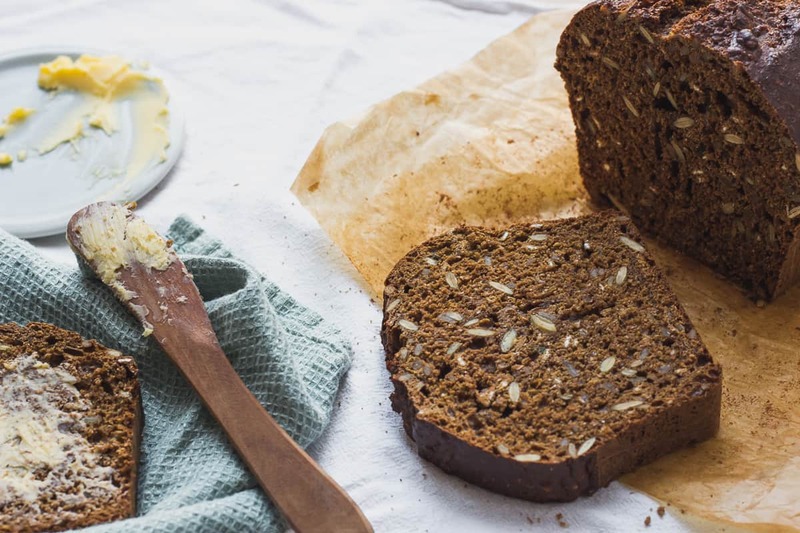 You could easily whip this up as part of a weekend brunch, but it would be delightful as a bread to accompany a warm autumn meal. Whatever you do, I highly recommend a smear of salty butter, and all the better if you can get Irish Kerrygold. I know that simply eating a culture’s food isn’t the same as experiencing that culture first hand, but it can give clues. The sweet, malty flavor reminds me of the warm people I met there. The dark color reminds me of the misty weather in which we drank our Guinness. 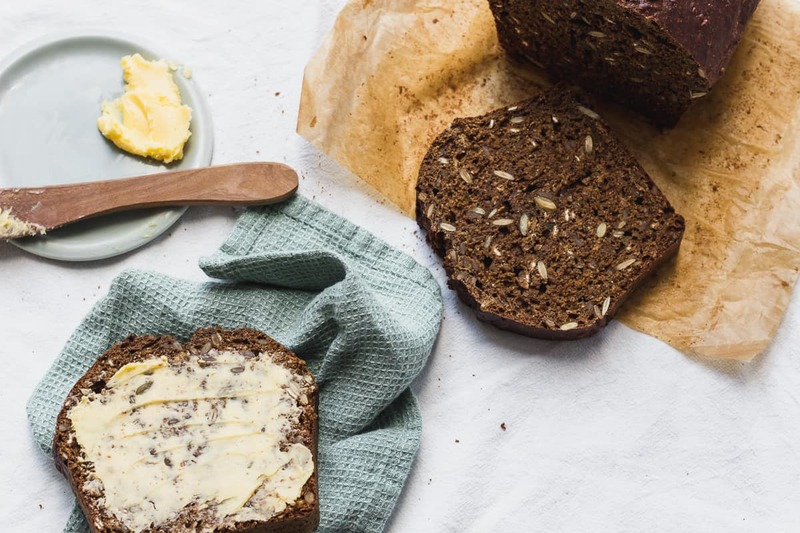 For me, this hearty bread is everything that is comforting about the Emerald Isle brought to my table. 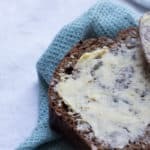 When I make this Guinness bread at home it reminds me of all the beautiful things about Ireland. I hope it might give you a little glimpse too. Preheat the oven to 350*F & make sure your rack is in the middle. Put the pumpkin and sunflower seeds on a rimmed baking sheet & toast in the oven for 5-7 mins. Make sure to toss them once or twice & watch them super closely because they will most certainly burn the second you turn your back. When they're nice and toasty take them out of the oven and allow to cool completely. Grease a 8.5in x 4.5in loaf pan with butter and line with parchment paper. 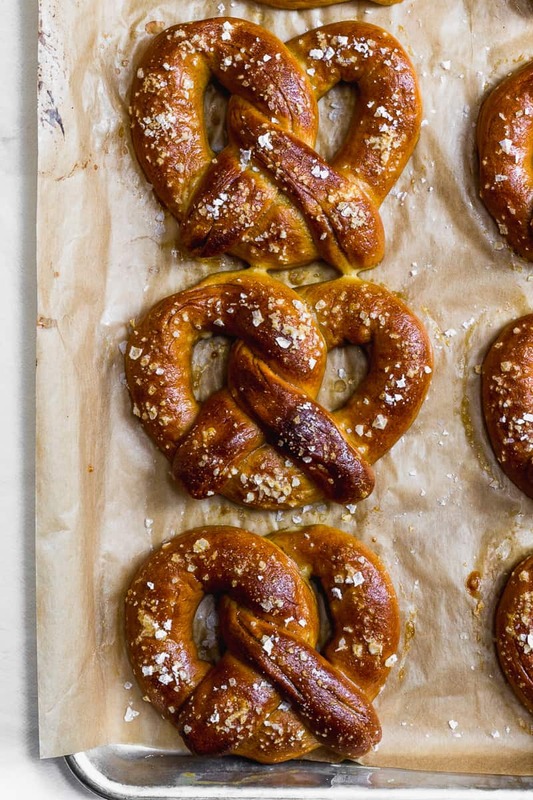 In a large bowl, combine the wholemeal flour, all-purpose flour, baking soda, sea salt, granulated sugar and oats. In a medium bowl mix together the buttermilk, molasses and Guinness. Mix well. Add the egg & mix until everything is combined well. Grab your dry ingredients bowl and make a well in the center of it. Pour the wet ingredients into the well and drag the flour mixture little by little into the liquid either with your hand or a wooden spoon. (I opt for the hand. I spread out my fingers like a claw-- kinda like I'm holding a softball--and drag it around the bowl bringing everything together). Keep going until it all comes together. Pour the dough into the prepared pan. Pat the top of the batter down (you'll need a little water on your hand so it doesn't stick). Make an indentation down the middle of the loaf, using your fingers or a spoon (this will help it to rise more evenly & not dome like crazy!). Place in oven and cook for 50-55 mins or until the internal temperature registers 205-210*F.
Remove from oven and allow to cool in the pan for 10 mins. Remove from pan and place on cooling rack. Allow to cool completely, 1 1/2-2 hours. Slice and serve plain or with salted butter. Last month marked a year that we’ve lived in England.